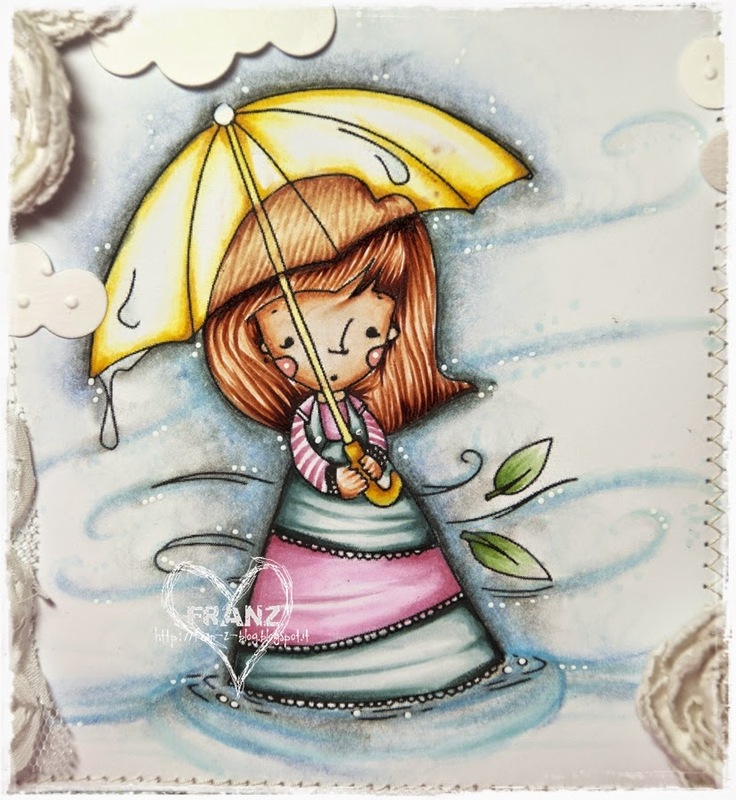 Franz here playing with one of the latest lovely Alberto's new stamps! I coloured up the super cute Susi in the Rain with my loved Copics and Prismacolor Pencils and I really had lot of fun with her! 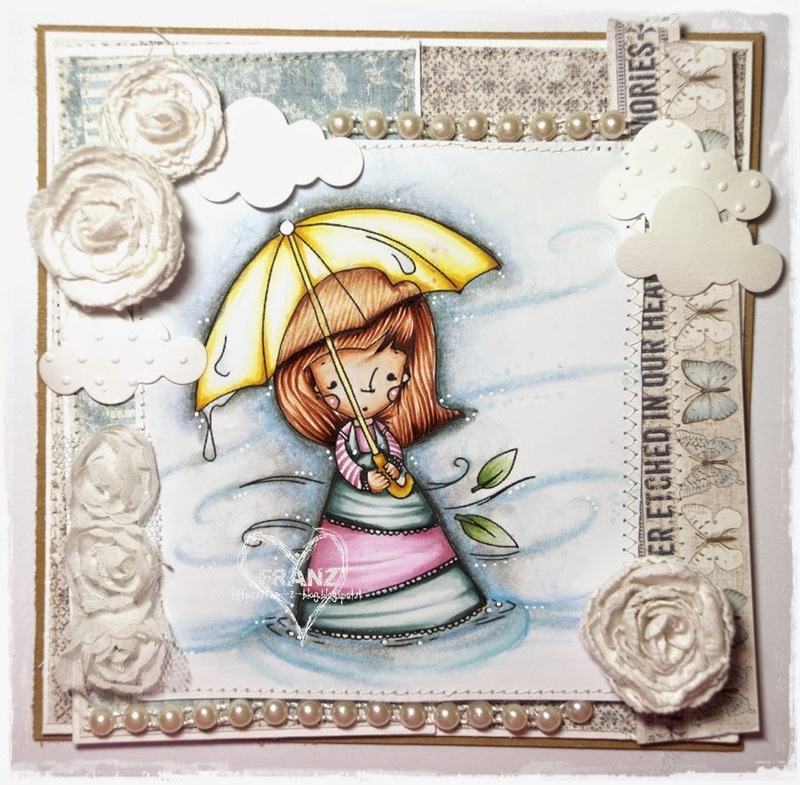 Here is the card: some flowers and lots of clouds...it's raining, isn't it?!! Let's have a look to Alby's Shop, admire all the new stamps and start having fun with them! A big hug and happy week end everyone! Wow this is Soooooo Gorgeous! Loooove the softness of it and the background Swirles really Add! Wonderful card!! Beautiful the trasparency of the umbrella. Very delicate look.